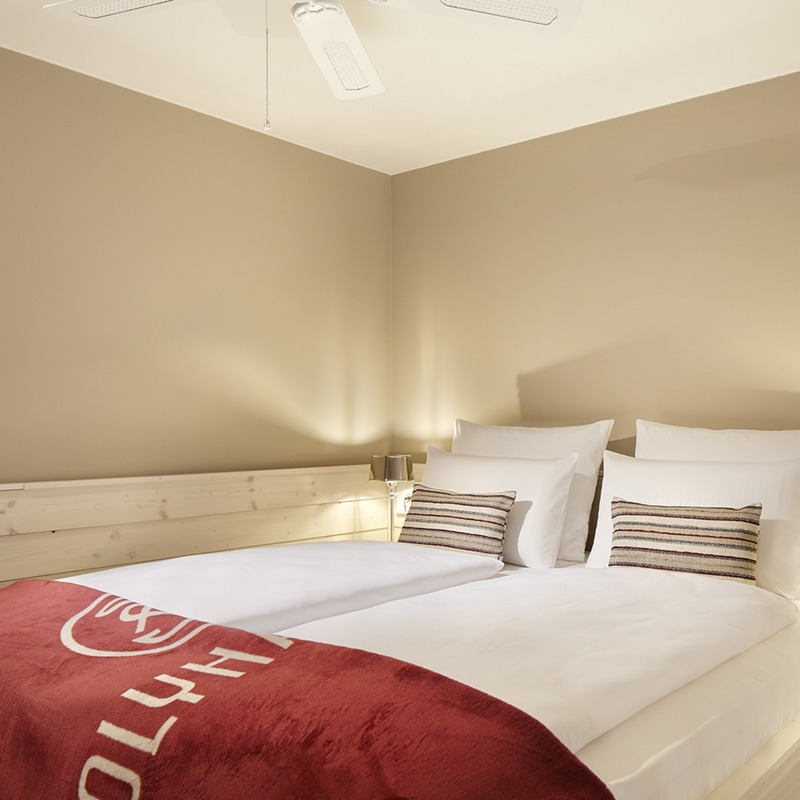 Our Ocean Loft rooms feature 2 floors. We have not only organized a great sea view but also created some additional space with a loft in the attic and a 5-meter-high ceiling. 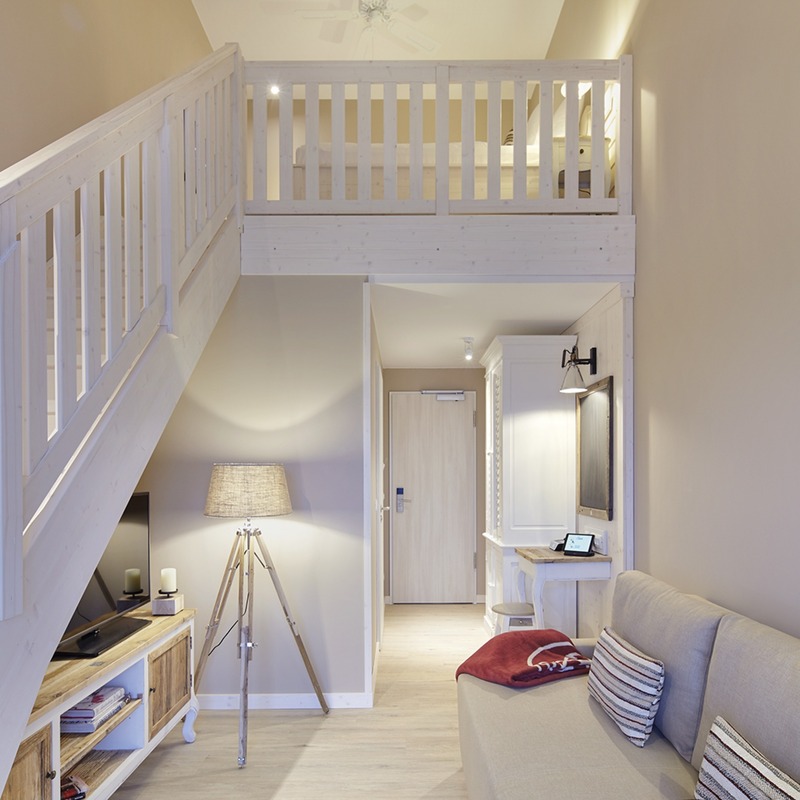 From the living room area with a cozy sleeping sofa and small desk you can reach the sleeping area in the loft by staircase. Feel entertained by our flat screen TVs with radio streaming as well as our tablet with internet access and a telephone with docking station for all common kinds of smart phones and iPods.